​SPE’s global operations encompass motion picture production, acquisition and distribution; television production, acquisition and distribution; television networks; digital content creation and distribution; operation of studio facilities; and development of new entertainment products, services and technologies. ​Universal Sony asked us to come up with some ideas to promote their in-house mission for their staff. 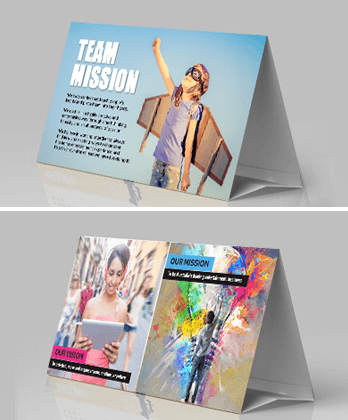 We suggested a three sided tent card as it gave the option of a triple message solution. They loved it and the final printed product looked very impressive with have stunning UV varnish.